For this reason, Liu and colleagues sought to evaluate the RNA yield and quality produced using six common pretreatment methods.1 The team obtained blood samples from 11 donors (5 women and 6 men). 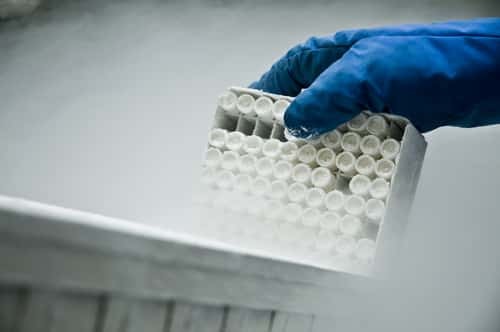 After each protocol, the samples were stored in a -80°C freezer. In Protocol A, the buffy coat-TRIzol method, the team spun blood tubes to separate the red blood cells (RBCs) from the buffy coat. They then removed the supernatant (plasma) by adding 1 mL RBC lysis buffer and then incubating. After repeating this step a second time, they washed the pellet, discarded the supernatant and then incubated with the TRIzol reagent for 15 minutes at room temperature. In Protocol B, the blood-TRIzol method, the buffy coat was not removed, and the RBC lysis buffer was added to the whole blood sample and incubated at room temperature for 10 minutes. The remaining steps of the procedure were identical to Protocol A. With Protocol C, the blood-RNAlater method, the team began by adding the RBC lysis buffer to the blood aliquot and then incubating at room temperature for 10 minutes. The remaining steps of the procedure were identical to Protocol A, except they used 10 volumes of RNALater (Ambion) to stabilize the RNA (following the manufacturer’s instructions). In Protocol D, blood-TRIzol LS, the team added TRIzol to the aliquot and lysed cells by pipetting. After vortexing the lysates to ensure they were mixed, the researchers incubated the samples at room temperature for 10 to 30 minutes. In Protocol E, known as the freezing method, the blood tubes were placed directly into a -80°C freezer. Protocol F, the PAXgene Blood RNA tube method, relied on incubating blood in the PAXgene tubes for eight hours at room temperature according to the manufacturer’s instructions. The team used a NanoDrop ND-8000 (Thermo Scientific) to determine the RNA sample purity. They also calculated the concentration and integrity using an Agilent bioanalyzer. After analysis, the team determined that most of these pretreatment methods (Protocols B, C, D and F) met the basic minimum requirements for RNA studies and were suitable for array assays with RNA integrity number (RIN) requirements of more than 7, and potentially for quantitative PCR applications. The best pretreatment method based on the highest quality of total RNA was Protocol A. Protocol D produced the highest yield of RNA. Protocol E gave the lowest RIN, with values below 7. The team posited that the low A260:A230 ratio was due to high salt content. In addition, the authors point out that cost and available storage conditions also play a role in determining which pretreatment method researchers should use. Ultimately, the best treatment method will be based on those factors along with any specific requirements specific to the experimental design. 1. Liu, X. et al. (2015) “Comparison of six different pretreatment methods for blood RNA extraction,” Biopreservation and Biobanking, 13(1) (pp. 56–60), doi: 10.1089/bio.2014.0090.